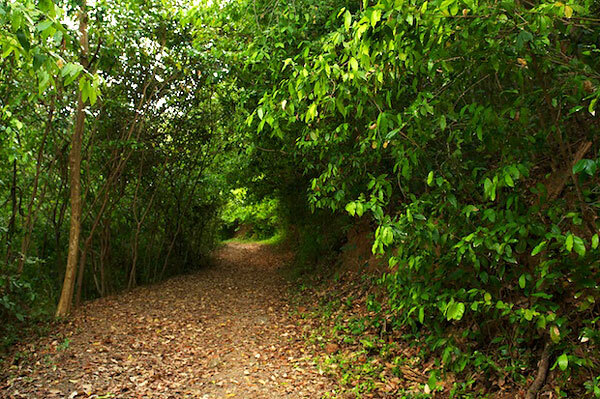 Khao Laem Ya National Park is one of interesting attraction in the province of Rayong. A lot of people go there to see sunset view in the evening. 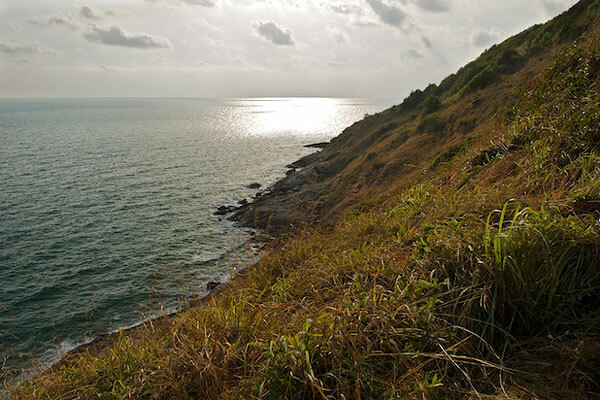 On the hill in this national park, visitors can also see view on either Mae Ram Phung Beach or Koh Samed Island. 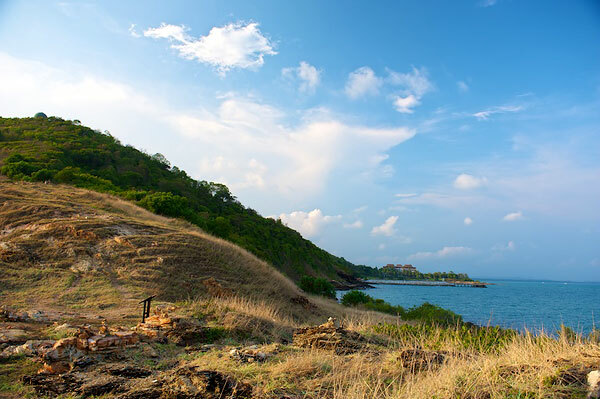 This hill is also a closest spot to the Island, where its foothill can even see Ao Phao beach on the island also. In this national park, visitors can find beautiful spots, natural atmosphere and various trees and flowers. Certainly, it is a great place for visitors in any kind of ages. 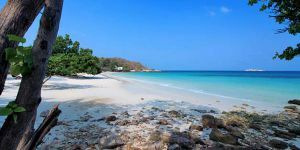 In fact, Koh Samed Island is included in this national park, locally known as Khao Laem Ya – Samet Island Group National Park. 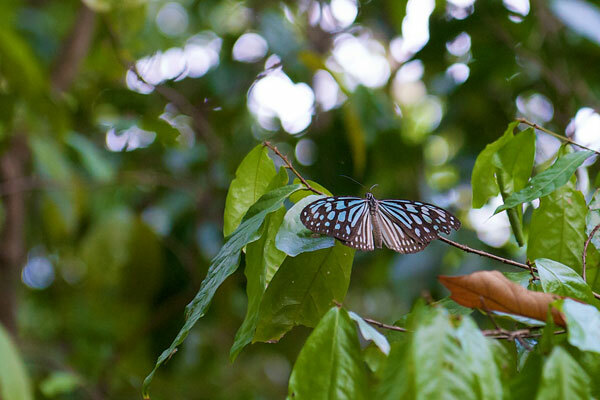 It is no.34th of national parks in Thailand, on 1st October 1981. It covers an area of 81,875 rais, in equivalent of approximately 31,000 acres. 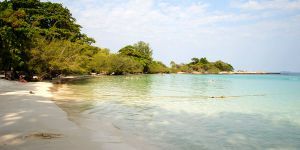 On the main land, Mae Ram Phung Beach and Ban Khon Ao is included in the area of this national park, while the included islands are Ko Samet, Ko Kudi , Ko Kruai, Ko Makham, Ko Plai Tin, Ko Chan, Ko Talu, Ko Klet Chalam, and Ko Thai Khang Kao. 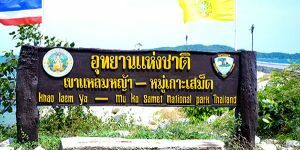 This is why the area of Khao Laem Ya National Park is really large. 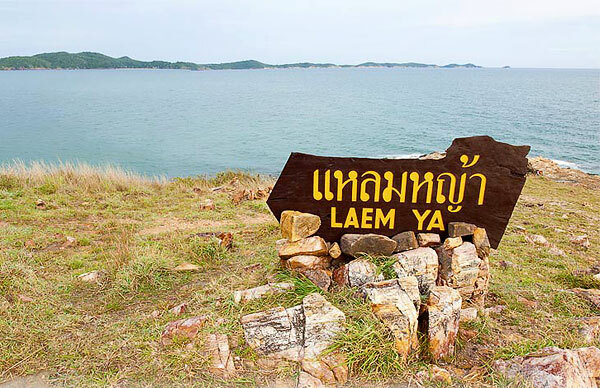 The area of Laem Ya Hill and Phet Hill is on the main land closing to the sea. On its foothill, there is an office center located. This area is suitable for take a rest, picnic, camping, and watching the sunset on the horizon. There is a natural walkway for education, which is 1.1 kilometer long and has several sub check points. At the end of the walkway, visitors will reach the top of the hill, open field with some rocks surrounded. This is a really great place for earning gently sea breeze and gazing beautiful view. There are also accommodations for visitors who would like to stay. There are either fan rooms or air-conditioned room with heat water shower. The small room is for 2-5 people - 1,200 to 2,000 Baht, while a large room is for up to 12 people, 4800 Baht. There are also restaurants, parking, and toilets in the area. 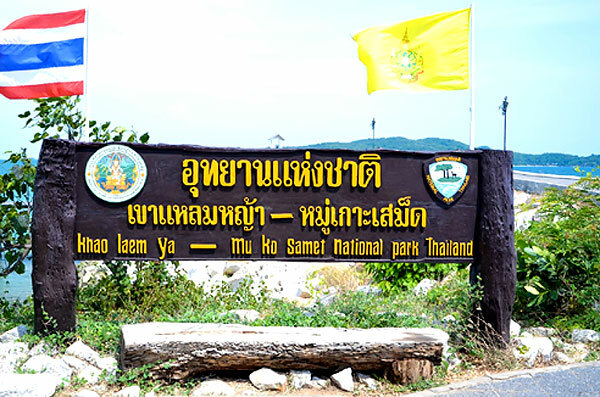 To go to Laem Ya National Park (headquarter), visitors can take a Songthaew (Rayong City - Ban Phe) to visit the park. It is very close to Mae Ram Phung Beach. Closing time of The national park is always at 6 PM every day. The entrance fee is 200 Baht for adult and 100 Baht for kid. 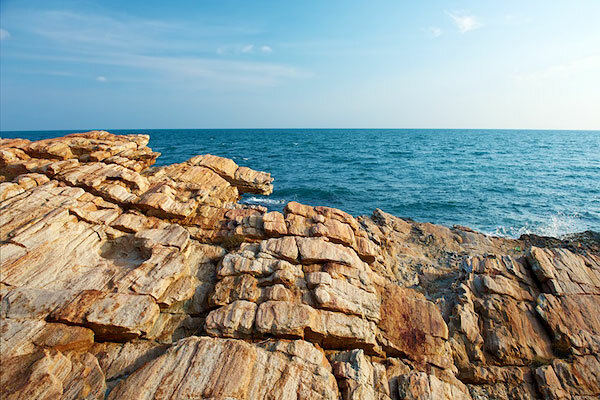 Mae Ram Phung Beach is one of famous beaches in Rayong, where it is white sandy and the longest beach in the province, approximately 12 kilometers long. Pine trees along the beach area are naturally decorative spots making the beach more shady and attractive. Not surprisingly, lots of visitors usually come to relax and picnic here. 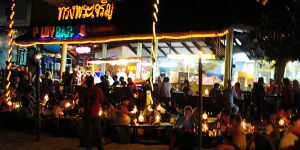 There are also many restaurants and street stalls near the beach. It makes this beach living. This beach is looked after by Khao Laemya National Park, located nearby. This beach is not far from Rayong City since it is only about 11 meters from the city. However, there is a warning for swimmer about rip current here. 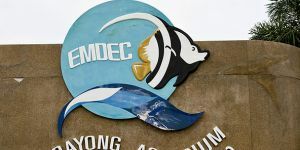 Rayong Aquarium is an attraction for any kind of ages, especially family group of visitors. There are a lot of sea creatures for visitors to look around or learn how they live. Both indoor and outdoor sections are separated for visitors to look around. For indoor section, visitors can see various beautiful marine lives in 43 tanks, while the outdoor one is for ponds of shark and turtle, a shell museum, and an exhibition of fisherman life as well as local fishing tools. This aquarium is also clean and well organized enough to look around easily. Lastly, one of great points here is that the entrance fee is pretty cheap even for foreign visitors. Ao Noina Beach is the farthest beach on the northern part of the island. The beach is quiet and calm – not many visitors and activities. The sound of smoothly waves might be what visitors can hear at this beach. 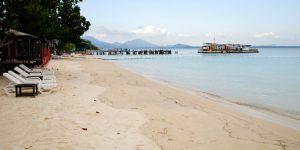 It will suit only those who are looking for a peaceful beach, but it's not for those who would like to stay in the area with most facilities. 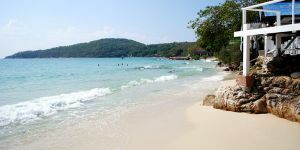 Ao Prao is the only one beach on the western side of Koh Samed Island. Not surprisingly, there are, every evening, a number of visitors coming to see sunset view. 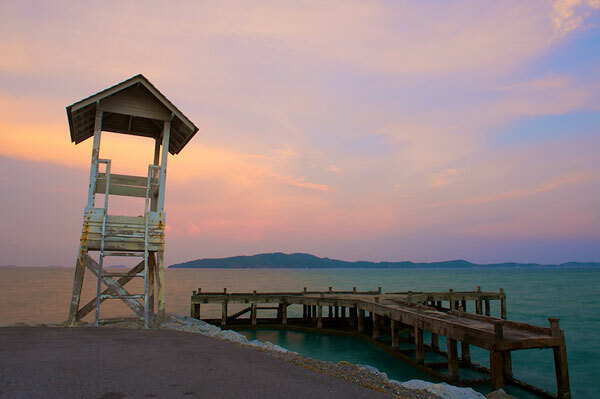 When combining good view point to peacefully relaxing atmosphere of the beach, it can be seen as a romantic place on Koh Samed Island. 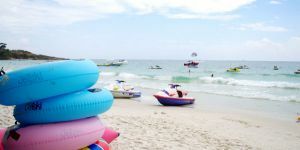 Facilities here are not as many as Sai Kaew Beach, because shops and restaurants are only run by a few resorts in the area. 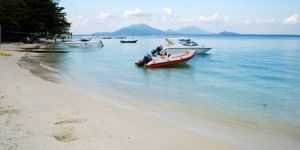 Ao Klang Beach is another beach located on the northern area of the island, not far from Nadan Pier. This beach presents clear seawater with peaceful atmosphere. There are a number of boats parking in the area, because this is a community of local residents on the island. Visitors can enjoy swimming here but should avoid parking boat area. 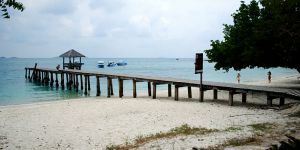 Facilities provided are not as many as other popular places on Koh Samed. 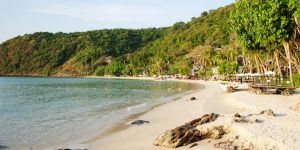 Ao Tubtim Beach (Ao Phutsah Beach) is a small beach located next to Ao Phai Beach. This beach is a non-busy place, but the beach is as beautiful as the others on the island. It is suitable for visitors who would like to enjoy relaxing at the beach peacefully with private atmosphere (not alone in the beach, though). Foods can be found at the beach but not much, so if visitors would like to have more choices just walk a little towards Ao Phai Beach. Ao Phai is another beautiful beach with finely powdered sand, just as what visitors can see at Sai Kaew Beach. Although this beach is not long, a lot of activities are still offered here. At night, there is a famous beach bar, Silver Sand Bar, for anyone who would like to enjoy some drinks. Choices for shops and restaurants here are not many, but it better than many other beaches that visitors have only one or two restarant nearby. 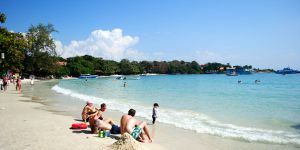 Ao Vongduan Beach is one of most popular beach on Koh Samed Island. 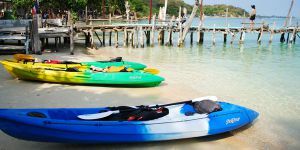 There are a number of tourists visiting the beach every day, so activities offered here are similar to other popular beaches - Sai Kaew Beach and Ao Phai Beach. Visitors do not have to be much worried about facilities, because shops and restaurants can be easily found here. One major reason to make this beach popular is that there are boats from Ban Phe coming directly to the beach. Ao Nual Beach is located next to Ao Tubtim Beach. This beach is a little beach – it might be the smallest beach on the island. Visitors can walk from one side to the other within one minute. Though, there is still a small resort for visitors to stay next to the beach. Ao Cho Beach is a not-large-not-small beach. 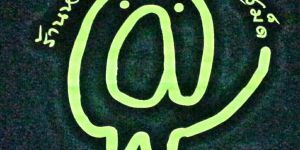 Its length is about 200 meters. The location of the beach is at the middle on the eastern side of the island. This beach is cozy, not many activities and visitors. There are just several resorts available near the beach. A pier in the middle of the beach can be a good place to take a photo with or to see the beach in different view. Ao Luk Yon Beach is a small beach located on the northern part of the island, and its location is also not far from Nadan Pier and Koh Samed Stall Market. This beach is a non-busy area, not many visitors and activities. Those who like camping can stay here with their tent, as there is a camping out area near the beach. Ao Sangthian Beach (or Ao Thian Beach) is an interesting place located next to Ao Vongduan Beach area. This beach is not as popular as many other beaches, yet it presents spots to enjoy sea view, sea breeze, and attractive beach. Atmosphere here is much quieter than Ao Vongduan Beach nearby. Visitors who stay here can walk a bit to see a lively beach and get more facilities, if they want to. 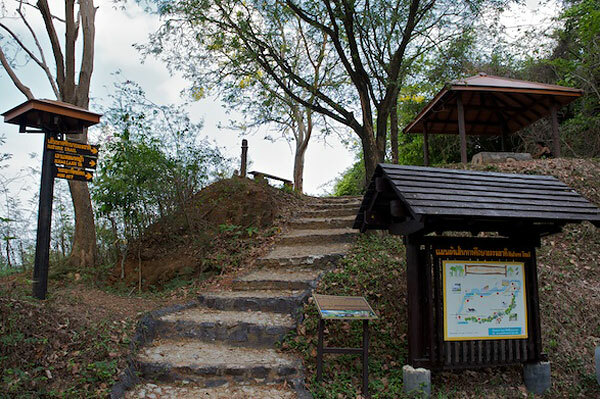 Sunset Viewpoint is located just about the middle area of the island (near Ao Lung Dam Beach). The viewpoint area is a place that visitors can see sunset view in the evening. On the day time, visitors who come here can still enjoy seeing the horizon and panoramic view. This is one of interesting places to stop over when travelling around Koh Samed. Note that, to enjoy sunset view here, visitors should arrive the area before 18.00. 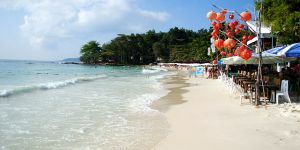 Sai Kaew Beach is the most popular beach on Koh Samed Island. It offers white sand, crystal clear seawater, and plenty of activities. Visitors can enjoy this beach from the morning to late night. There are a number of shops, restaurants, bars, accommodations, and convenient stores around the beach. Ao Lung Dam Beach is a small beach at the southern part of the island, just next to Ao Sangthian Beach. 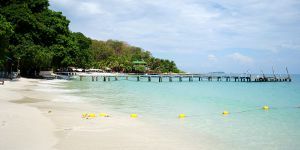 Apart from beautifully clear seawater, this beach also presents a wooden pier, which is seen as the highlight of the beach. 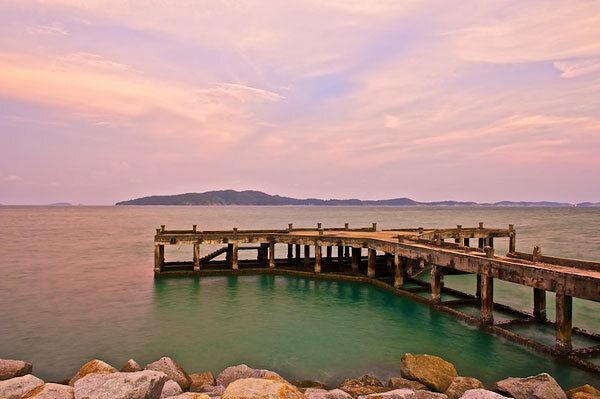 Many postcards of Koh Samed is taken photo with this pier. 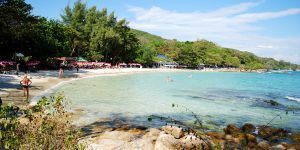 Thai visitors also think that this beach is the place to be - when visiting Koh Samed, don't forget to visit Ao Lung Dam Beach. 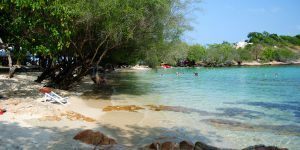 Ao Wai Beach is one of peaceful beaches on Koh Samed Island. The beach, in general, presents relaxing atmosphere with not many visitors on the beach - most visitors are likely foreigners as a small family group. Beach chairs and a beachfront swimming pool is provided for free to customers of the resort – there is only one resort in this beach, Samed Ville Resort. 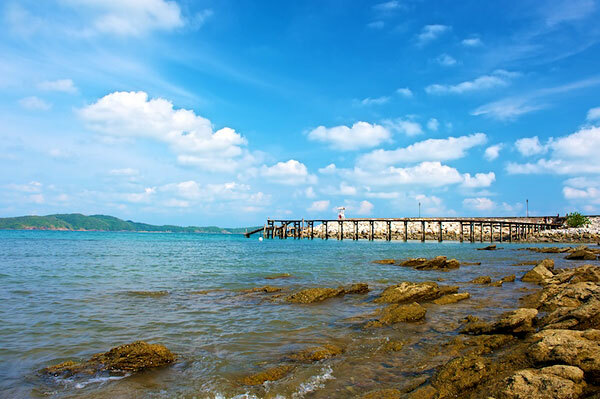 One of famous beaches in Rayong is Suan Son Beach, meaning pine-tree garden beach. According to its name, you can probably imagine that there will a lot of pine trees at the beach. Of course, it is. 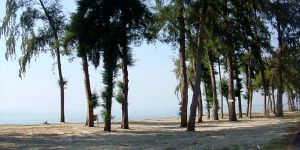 There are pine trees along the beach road, where some part of the road are even covered with pine trees in both sides. 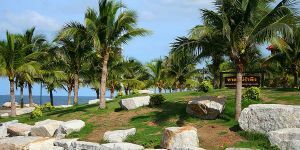 This means that the beach is famous not only for enjoying swimming but also for relaxation under the shade of the trees at the same time. This is the reason why tons of tourists, especially on weekend, come to visit this beach. The beach is also long enough for visitors to find either comfort or quiet spots. Ao Kiew is the location for two small beaches at almost the farthest of the island. One beach is on the western side, while the other is at the eastern side. The location of Ao Kiew is actually at the narrowest area of Koh Samed Island. 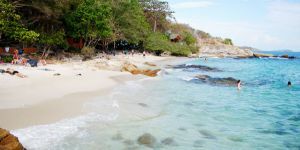 Ao Pakarang Beach is the farthest beach on Koh Samed Island. This beach is located in the area that coral reefs presented nearby. Visitors can enjoy snorkeling nearby. Atmosphere of the beach is peaceful and relaxing, although there are no exciting activities as popular beaches. 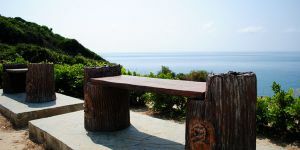 There is also a small hill next to the area of the beach, where visitors can enjoy seeing sunrise view in the morning. The buzz is one of famous restaurants on Koh Samed. It is a beachside restaurant at Ao Prao Beach, where customers can enjoy eating with beautifully sunset view. The restaurant offers mainly on real Thai food, especially dishes from North East of Thailand, such as spicy salads, soups, curries, noodles and rice dishes. Music and cocktails are also available for customers to enjoy relaxing on the outdoor beach terrace. 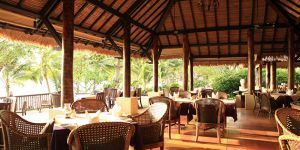 "O Restaurant" is a restaurant of Le Vimarn Cottage and Spa Resort, and it is a famous Italian restaurant on Koh Samed. This beach front restaurant is a good place to enjoy relaxed and romantic atmosphere. The restaurant is presented in Thai-style pavilion with flowing of calmly sea breezes. Pizza is a recommended food in the restaurant. 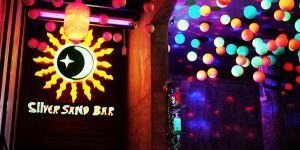 Bar and Bed is a great place for those who would like to have some drinks at Koh Samed. Creative cocktails and a wide range of wines are always ready to be served towards customers. Fusion cuisines are also presented in this place so that customers can have an interesting meal here. Furthermore, this bar is also a great entertaining place for visitors, because interesting music and pool party is also presented in the area. Baan Ploy Samed Restaurant is a restaurant of Baan Ploy Sea Resort, Ao Klang Beach, Koh Samed. This restaurant has been famous for a long time (in the past, this restaurant is located on seawater area). The restaurant is currently located next to the beach, so customers can enjoy gentle sea breezes and relaxing atmosphere. 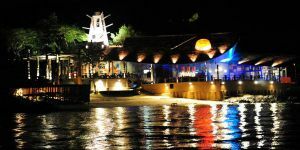 Silver Sand Bar is a famous entertaining bar and pub on Ao Phai Beach, Koh Samed. Those who would like to have some fun time at night can go enjoying at this bar. With beachfront location and lights decorated, Silver Sand Bar become noticeably at night time. Tong Ta Pha View Restaurant is an interesting restaurant presenting attractive atmosphere. Peaceful environment and beautiful sea view is a great trademark of the restaurant. It is a great choice for those who would like to enjoy having a meal with outstanding natural view. The restaurant is also present tasty food with reasonable price. Jeps Restaurant is one of famous restaurants on Koh Samed. This restaurant presents interesting atmosphere with sea view and natural decoration. The restaurant also offers delicious seafood with reasonable price. Its location is in between Sai Kaew Beach and Ao Phai Beach - visitors can walk from Sai Kaew Beach to the restaurant within 5 minutes. 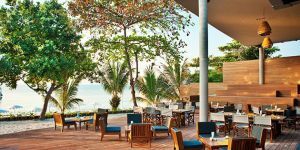 The Kitt and Food Restaurant is one of well-known restaurant at Sai Kaew Beach, Koh Samed. The restaurant offer delicious food, especially seafood, with natural sea view. This restaurant is also a good place for a group of friends or family to enjoy having a meal together. Pray Talay Seafood Restaurant is a recommended restaurant located at Sai Kaew Beach. Most visitors confirm that having a meal at this restaurant is not overcharged, and the food served also presents good taste. Customers have a number of food choices, especially Seafood dishes. 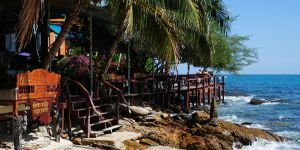 Although atmosphere here is not remarkable, this restaurant can still be an interesting one on Koh Samed Island. 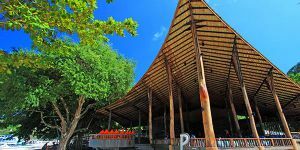 Ploy Talay Restaurant is one of most famous restaurants on Koh Samed. 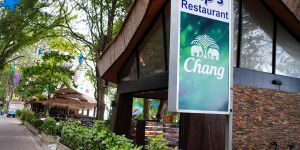 Almost every visitor has heard the name of this restaurant before coming to Koh Samed (if not, they are likely to notice this restaurant soon after arriving). The restaurant fame is not from the taste of food offered, but fire show at night, which many people believe that the fire show here is the best on the island. The food and atmosphere here is also good though. Im Aroi Dee Restaurant is one of well-known restaurant, especially by local residents. Not only can this restaurant provide delicious food with inexpensive price, but it also offer made-to-order food dishes for customers who would like to eat something differently. 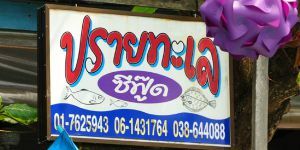 The restaurant is located at the area of Koh Samed Market. The atmosphere is just simple, not thing outstanding, compared to many other restaurants on the island. 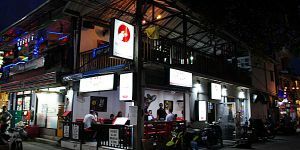 The Funky Monkey Bar and Restaurant is a western-style restaurant on the island, not far from Koh Samed Market, and Sai Kaew Beach. Pizza is the most famous food at this restaurant. The largest size of pizza is almost equal the table size – it is for a group of family. Those who would like to eat something different from seafood can try tasting a pizza here. The price is not expensive as well. 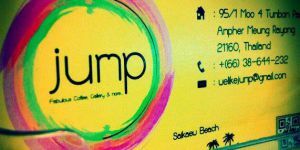 Jump Coffee is a hip-style coffee shop on the island. It is located on a great location near Sai Kaew Beach, Koh Samed. Cakes and Bakery is also offered in this shop. It can be a good place for those who are looking for a place to have a cup of coffee or looking for a relaxing place to stop over for a little while. Internet WiFi is also provided for customers. Restaurant on Koh Samed. The restaurant offer delicious food with inexpensive price at Ao Lung Dam Beach for a long time. Seafood dishes are what most recommended in this restaurant. Not just visitors on this beach come to have a meal in the restaurant, but those who stay beaches around also come here to enjoy the food. 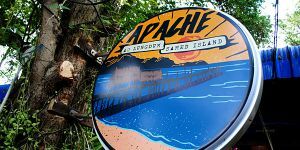 Apache restaurant is actually the restaurant of Apache Bungalow. 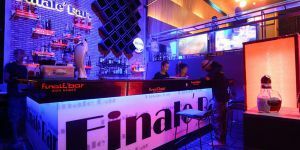 Finale Bar is one of most interesting beach bar on Sai Kaew Beach, Koh Samed. 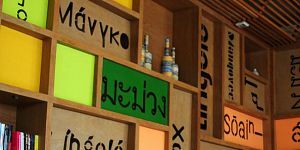 It is a great place for those who would like to experience chill out atmosphere at a beach bar on the island. Visitors who would like to have a meal, have a drink, or dance on the floor are always welcome to enjoy here, with the music surround all over the place. The Mango is a bakery cafe located in Sai Kaew Beach Resort. It is decorated in chic style within the air-conditioned area. 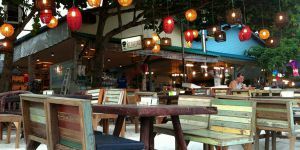 This cafe could be an interesting place for those who come to Koh Samed in summer, because they can avoid hot temperature from the beach and be relaxed with cool air here. Fruit juice, coffee, cakes and bakery are what available in The Mango. The Zea Restaurant is one of famous restaurant at Sai Kaew Beach. It is a beachfront restaurant in hip-style design. This open-air restaurant offer relaxing atmosphere with interesting beach view and gentle sea breeze. A range of Thai and International food, including breakfast buffet, are ready to serve customers from the morning. Nasan Phochana Restaurant is a beachfront restaurant near Laem Yai, the hill cape at Sai Kaew Beach. This restaurant is another one that offer reasonable price for food dishes at the restaurant. The customers can enjoy eating with the sea view in front of the restaurant. Many Thai visitors would like to have a meal here. Sunset Bar is a famous bar and restaurant at Ao Kiew Beach, Koh Samed. 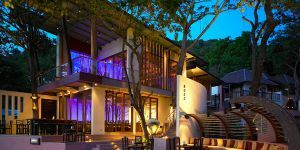 It is the bar of Paradee Resort, one of most luxury resort on Koh Samed. This bar offers a great location to see beautiful sunset view in the evening. With peaceful atmosphere and striking view, Sunset Bar is seen as a good romantic place on the island.